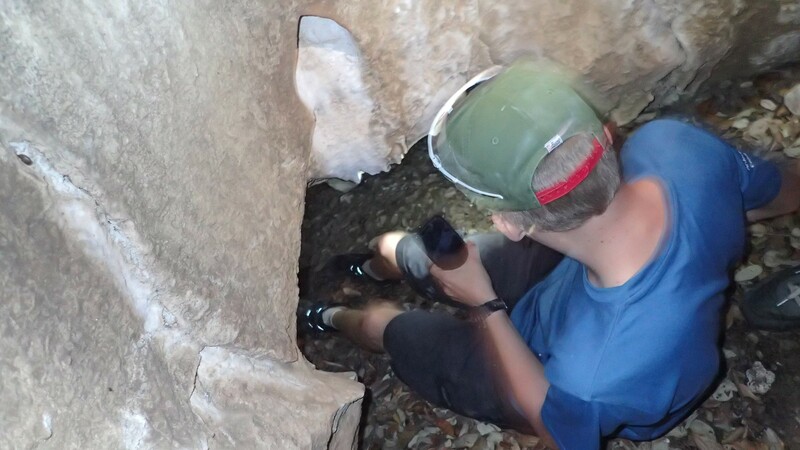 In the corner of a quiet Essex pub, ‘three nods’ around the table meant we’d just agreed to run Essex Wing’s first ever overseas paddling expedition. In the months that followed, routes were chosen, letters of intent sent and a staff team built. The nominations from the cadet units then followed and we had more than sufficient interest for a full expedition. Our intent was to keep the numbers relatively small as this was our first paddling expedition of this nature. The nominations fitted this plan well and, before long we had an initial training weekend to do the first selection of candidates. 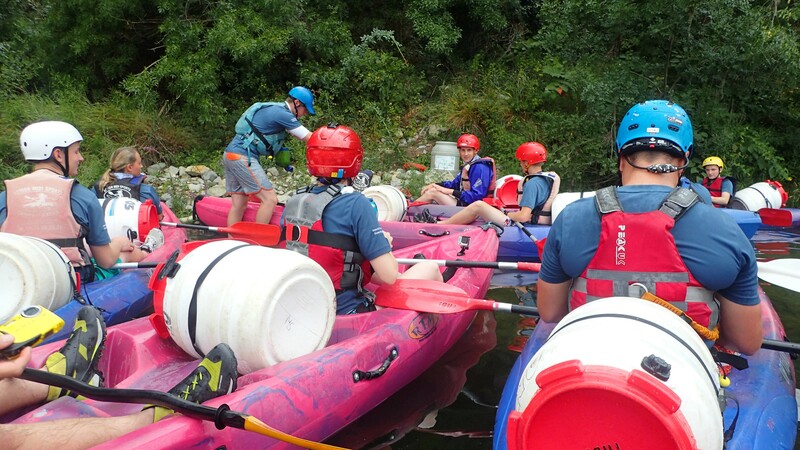 The first training weekend was underway with a paddling trip and overnight camp. As a result, a final personnel list of 15 was in place. 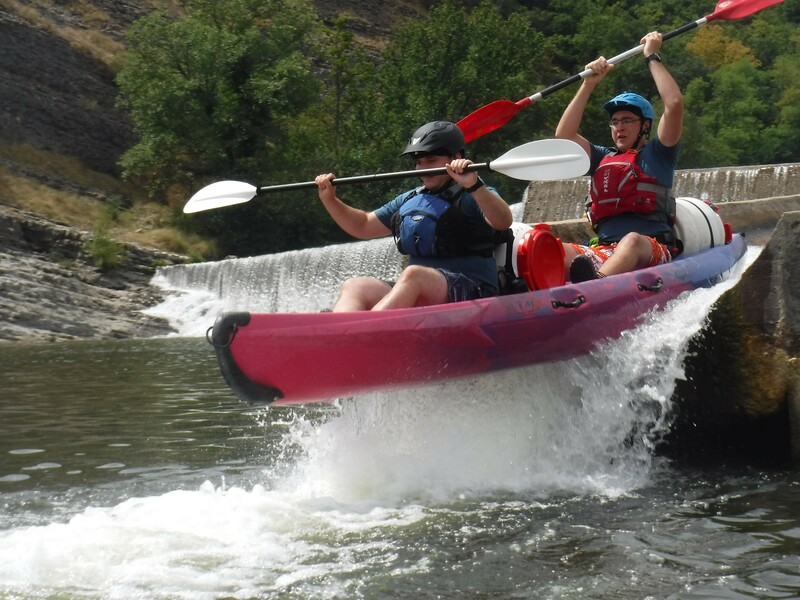 A few staff undertook a recce trip to book some kayaks, work out transportation challenges and, book bivouac sites. After more detailed planning, collection of personnel data, approvals ensued. A final training weekend using the proposed expedition equipment was also undertaken. A few more weeks of planning calls, finances, moving equipment around the county and finally, the team were ready. An equipment packed support vehicle left of Sat 5th Aug with the cadets getting up in the middle of the night for an early flight to Marseilles on the 6th. All personnel were now in France and the ‘allo allo’ version of ‘Ardèche 17’ had truly begun. A commercial vehicle transfer to a base camp and collection of our hired kayaks meant a ‘self-sufficient’ approach now lay ahead. Months ago we had decided that we wanted to run this without buying-in outside support and so, teams of staff and cadets set about preparing the first night’s meal. Preparation day was about acclimatisation to 36 degree temperatures, food shopping and expedition lunch preparation. A bit of refresh safety training, a recce of the local area and to bed before lé grade départ. 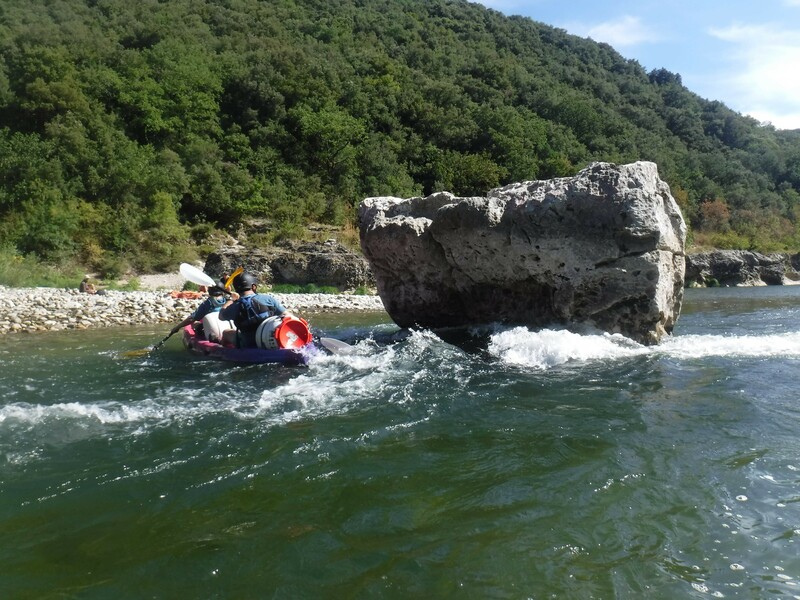 Monday morning saw us leave on our journey on the Ardèche River. 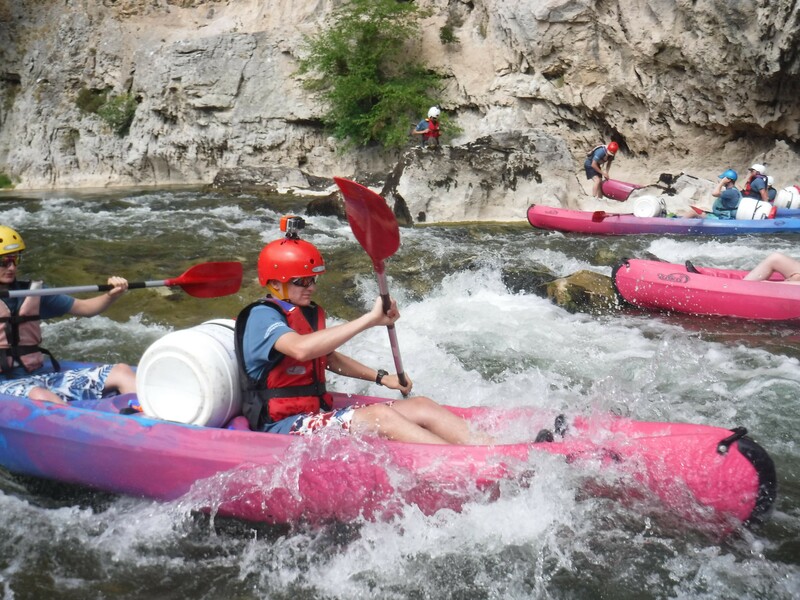 Putting on at Samzon and paddling towards Vallon with the fun of canoe chutes down the many weirs lay ahead. As the day closed out, the famous Pont d’Arc (80m high limestone arch) loomed into sight. Soon to follow was beaching up to our first night campsite. BBQ dinner and much needed sleep ready for day two. 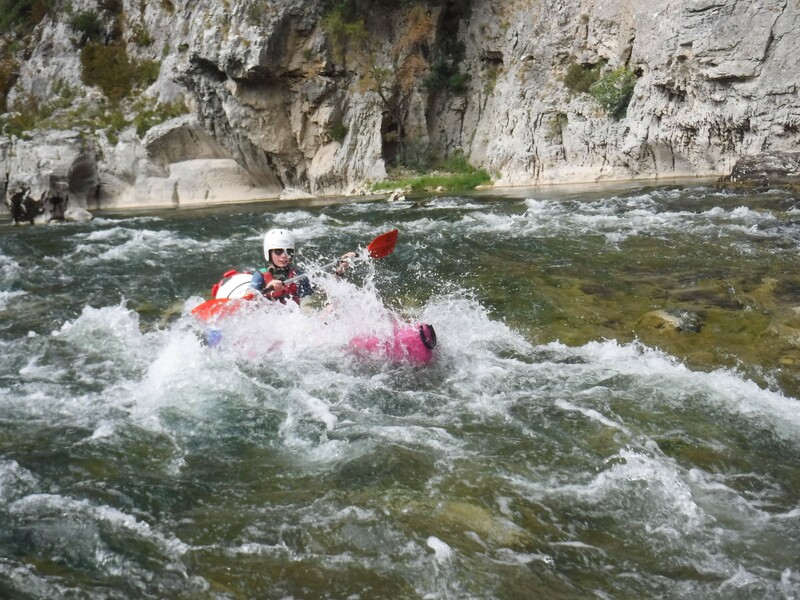 Morning started with a few rapids to negotiate and a long day in a beautiful gorge with stops offs and many rapids to enjoy. A bivouac site overnight also had some some rain to wash the dust off everything before we all crept into our expedition tents for the night. 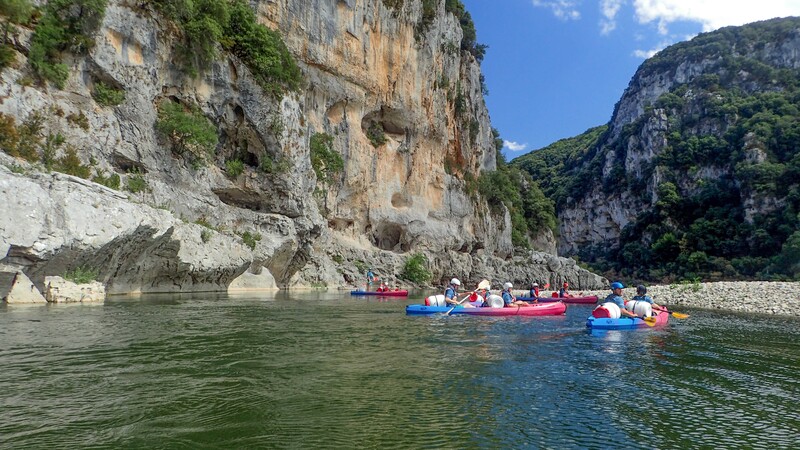 Day three was another 14k of paddling with a lunch under ash trees and a move off the water to climb up to an old Knights Templar and St John’s ruin with staff, using previous research, to bring the history of the Ardèche Gorge to a new perspective. Towards the end of the last day, as the gorge starts to end into an open plain, there is a long 2km stretch of slower moving water, perfect for a bit of synchronised paddling so, off we went in parade formation stretched out across the whole river paddling in time. We certainly drew a bank based crowd to support the finale of the ‘on-water’ part of our expedition. A bus and trailer picked us up and the finish point to return us to base camp a few hours later. 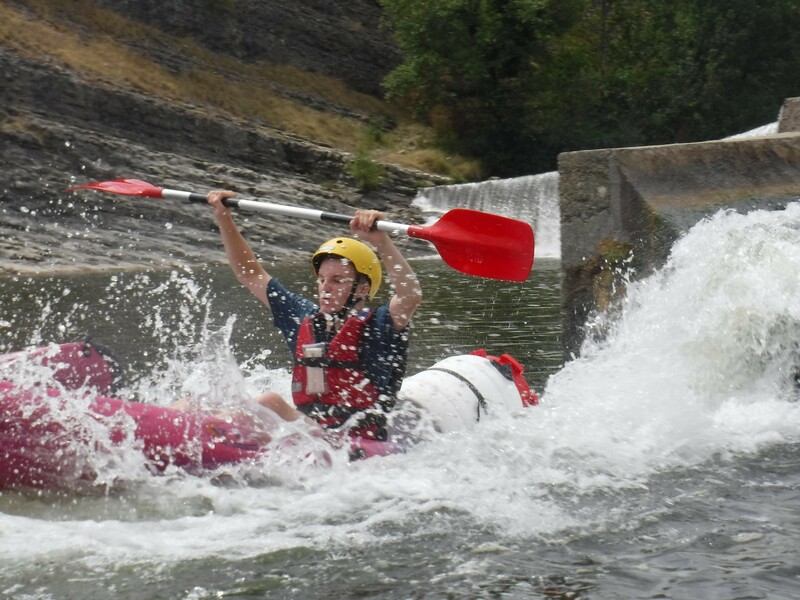 We’d done it ….. We’d run the gorge! 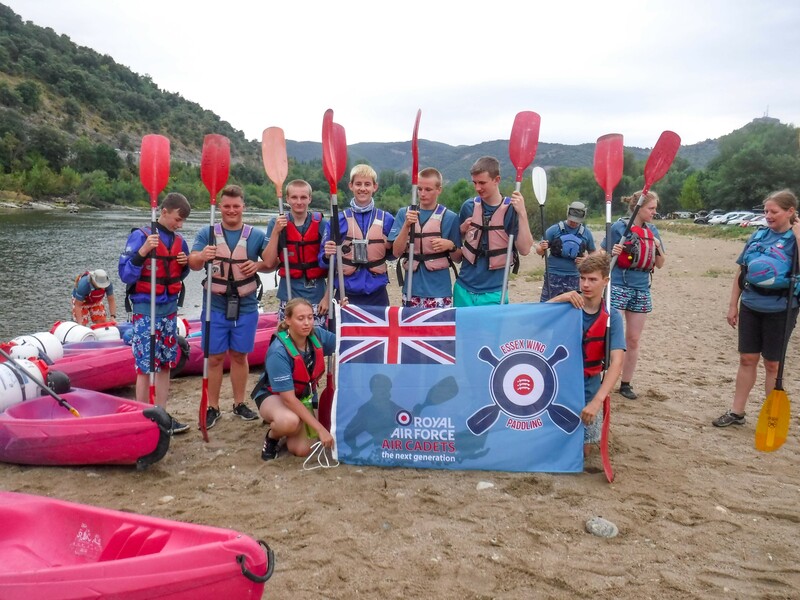 Our final day was a mixture of R&R visit by bus to the local village of Vallon d’Pont Arc and some trekking into the local mountains; returning to base camp for the team final BBQ. 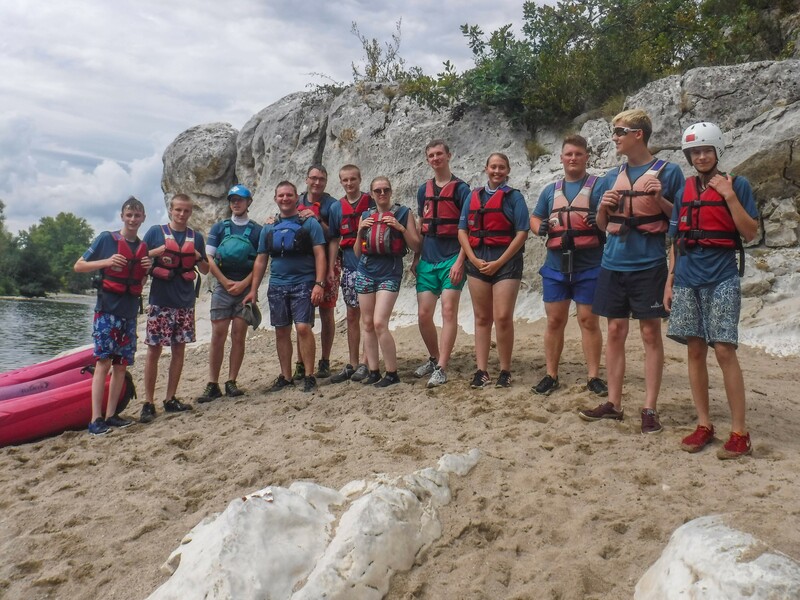 In summary, a very successful expedition which delivered on its goals of a significant paddle sports based expedition being both scalable a repeatable for the future. Clearly it would not have been such a success without the ATC’s sponsorship and important fiscal sponsorship from the Ulysses Trust. The latter enable us to better equip the cadets and help us achieve our self-sufficiency goal. The feedback from the all participants was very positive and underlying those sentiments, many individuals commented that they learnt so much about, technical paddling of course, but importantly perhaps, much about themselves and how they worked within a team and skills they discovered during the venture. It is those last comments that will have an underlying long term benefit to the organisations future leaders and builds the spirit of adventure and exploration within an organisation whose motto is, after all, ‘venture adventure’.